This perfectly balanced electric chain saw is ideal for the professional user working where emissions or noise are a concern. 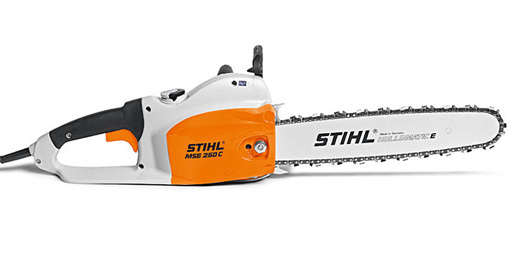 This chain saw features the STIHL Quickstop® Super braking system, temperature overload indicator, side chain tensioner and patented filler oil cap. The MSE 250 C-Q has 2.5 kW power output and completes the top end of the new generation of high quality electric STIHL chain saws. A great power-to-weight ratio paired with the reduced noise - this saw is all bite - very quiet bark! The QuickStop® Super chain brake is an additional braking system. 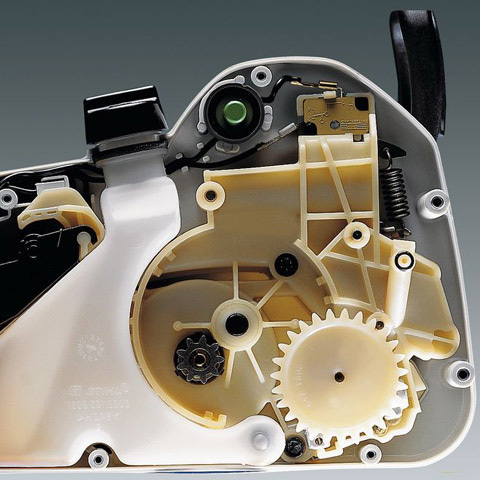 The system is activated as soon as the operator's hand comes out of contact with the rear handle. 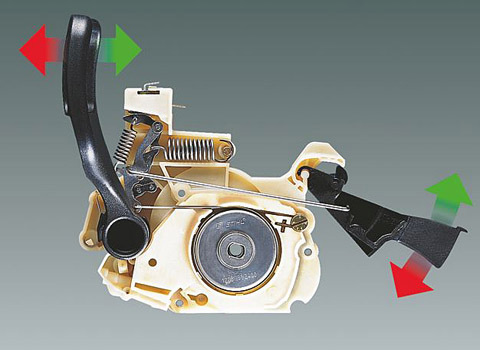 Turns off the motor before it overheats, for example when significant pressure is applied or if the guide bar becomes jammed in the wood.